Dr. K. S. Krishna Kumar completed M.Sc. degree in Physics from Bangalore University, Bangalore, India, in 2003 and the M.Phil. degree in Physics from M.S. University, Thirunalvaeli, India in 2005. He has completed Ph.D. degree from Rayalaseema University, Kurnool under the guidance of Professor Ramani. He carried out his research work at IUAC, New Delhi and Bangalore University. His major field of research is on Materials Science, particularly on Superconductivity and Radiation effects on advanced Semiconductor Devices. Dr. Krishna Kumar is currently Heading Department of Physics at Rajarajeswari College of Engineering, Bangalore. He had ample of experience in teaching Engineering Physics and guiding research activities. Krishna is a Life Member of the ISTE (Indian Society for technical education, membership number: LM 90928). 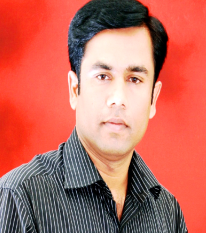 He has published many research papers in various reputed national and international journals.